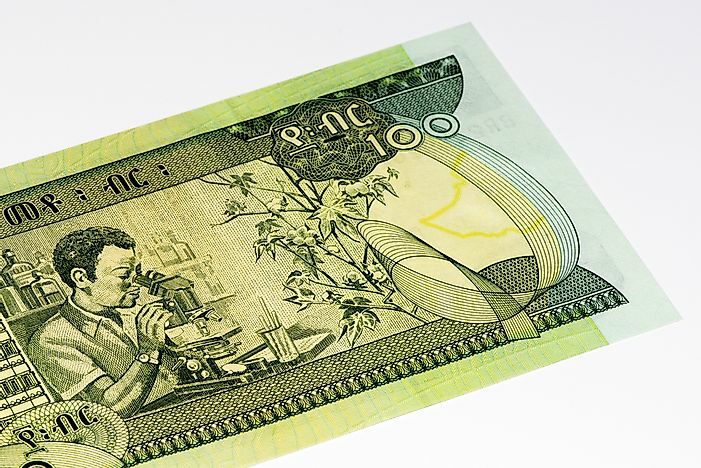 The official currency of Ethiopia is the Ethiopian birr. Ethiopia’s official currency is Ethiopian birr. The word birr was initially a non-English word before 1976 with its English translation being a dollar. It is an official English word today. The currency of Ethiopia before 1931 was referred to as the Abyssinia birr, and after 1931 up to date, the currency’s name is Ethiopian birr. The difference in the names before and after that year did not affect the value of the currency and the country of use. In 2008, the amount of birr in circulation was 186 billion which is equal to 14.7 billion dollars is. In 1903, new series of coins came into circulation in forms of silver ghersh and quarter-birr. The weight of silver ghersh was 1/16 of that of birr. The Bank of Abyssinia was importing approximately 1,200,000 Marial Theresa thalers by the start of the First World War, and in 1915, the bank brought banknotes in circulation. The Italian lira came into service during the period 1936-1941. On July 15, 1936, there was the introduction of the Italian lira following the transformation of Ethiopia after the Italians occupied the country. Also, the circulation of the Ethiopian banknotes was withdrawn to increase the flow of Italian money. During the period 1941-1945, the East African shilling was used after the East African Campaign of 1941 that lead to the introduction of the currency by the British forces. In 1945, there was the introduction of the second birr with the conversion rate of 2 shillings per birr. The circulation of the Ethiopian currency consisted of the Menelik talari and Maria Theresa by the mid of the 1930s. The first Ethiopian birr coins were in circulation between 1894 and 1897. The coin denominations included the copper coins of 1/100 and 1/32 birr, silver coins of 1 ghersh, 1⁄8, 1⁄4, 1⁄2 and 1 birr, and the gold coins of 1⁄4, 1⁄2 and 1 werk. There was a new system of coins that began in 1931. The second Ethiopian birr coins were introduced in 1944, and consisted of copper coins of 1, 5, 10 and 25 santim and the silver coins of 50 santim. In 1977, the new series of coins was introduced. The Bank of Abyssinia introduced the first set of notes in 1915. It consisted of 5,10,100 and 500 talari. In 1932, the Bank of Ethiopia gave out the same denominations of notes. In 1945, the State Bank of Ethiopia introduced the second series of the notes in denominations of 1, 5, 10, 50, 100 and 500 birr. From 1966, the production of banknotes was in all the denominations except the 500 birr with the National Bank of Ethiopia being the producer.